Date: Saturday, 13 January Time: 3 PM – 6 PM Venue: Conference Hall, Nasscom CoE, IoT, Diamond District, Domlur, Old Airport Rd, Bengaluru. 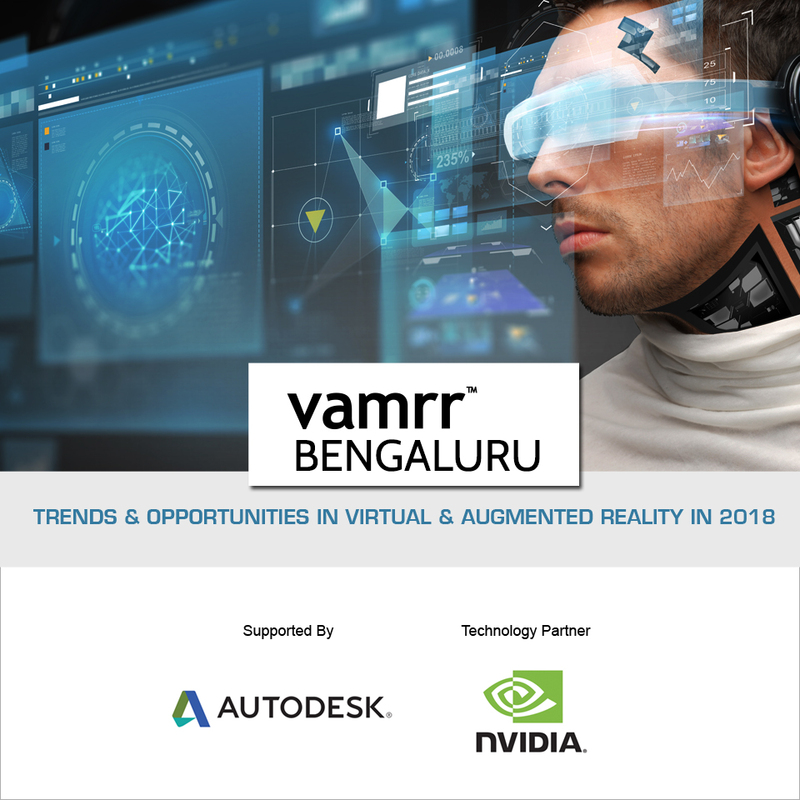 vamrr has organized 26 conferences on virtual augmented and mixed reality in the past year. We begin 2018 with a series of close knit meetups focused on trends and opportunities to watch out for in VR AR MR in 2018. Check the video below to find some glimpses from past vamrr conferences or scroll further below for program line up. The free registration form is at the end of the page.